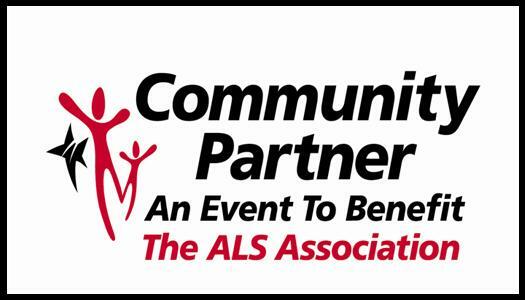 Each year, The ALS Association Northern Ohio Chapter holds several fundraising events to raise awareness and funds that help provide invaluable services to people living with ALS. Come join the fun and help make a difference! For more information on any of these events, whether to attend, donate to, sponsor or volunteer for, please contact our office at 216.592.2572/888.592.2572 or via email at alsa@alsaohio.org. Visit our event calendar online and add events directly to your calendar! April 11, 2019 - Hudson Progressive Dinner - various venues in Hudson are hosting a fun evening of food, drinks, discounted shopping, and fundraising. $20 tickets. For more information and to see the participating venues visit: GwendolynElizabeth.com. May 3, 2019 - Tee It Up For ALS- Roses Run Country Club, 2636 North River Road, Stow, OH 44224. Charity Golf Scrambler. Individual Golfers - $75; Foursome - $300. Click HERE for more information and to register. May 17, 2019 - Battle of the Bands Battle ALS - Fountain Bleau Event Center, 635 Miller Rd, Avon Lake, OH 44012. Battle of the bands fundraiser. Registration fee prior to April 22nd - $25; Registration fee after April 22nd - $30; Premium Table Registration (10 seats) - $300. May 25 and 26, 2019 - Mike Good Memorial Cup - Springhill Soccer Complex, 3749 Fortuna Drive, Akron, OH 44312 and Green High School, 1474 Boettler Road, Uniontown, OH 44685. Youth soccer tournament for kids 10-15 years old to take place all weekend. Teams are guaranteed three games. To register now through May 1st, visit mgtourney.org. June 15, 2019 - Brooks' Crew for ALS Golf Outing - Eagle's Landing Golf Club, 5530 Bay Shore Rd, Oregon, OH 43616. Golf scrambler and putting contest with auction items and dinner. $65 per person. Visit their facebook page for more information and find out when registration opens: Brooks' Crew. July 20, 2019 - Kelsie Monin Memorial Golf Outing - St. Denis Golf Course, 10660 Chardon Road, Chardon, OH 44024. 6th annual golf outing with raffle, lunch at the turn and dinner. Golf and dinner - $125; dinner only - $40. Registration now open. Visit their page for more information: Kelsie Monin Memorial Golf Outing to Benefit ALS. July 27, 2019 - Cruise-In for the Cure - Hurst Auto Body, 3617 State Route 4 North, Bucyrus, OH 44820. Live entertainment including a car show, poker run, raffles and silent auction, and kids activities. Check out their facebook event for additional information and details about registration: 2nd Annual Cruise-In for the Cure. August 2, 2019 - The “Alex Massey at Your Service” Memorial and ALS Charity Golf Outing - Mallard Creek Golf Club, 34500 Royalton Road, Columbia Station, OH 44028. Four man golf scramble includes your cart with lunch, dinner, auction, drinks and fun. Golf and dinner - $100; dinner only - $30. Visit their site for more information and find out when registration opens: Alex’s Army. If you are interested in hosting an event, please click on the box below! THANK YOU FOR SUPPORTING OUR EVENTS! If at any time you have any questions about an event, please contact John Coyne at john@alsaohio.org or 216.592.2572. If you are interested in organizing a Walk in a Box, please click HERE for more information or contact John Coyne at john@alsaohio.org or 216.592.2572.